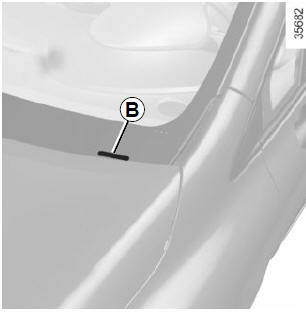 The information shown on the vehicle identification plate should be quoted on all correspondence or orders. The presence and location of the information depends on the vehicle. EC design number or approval number. Depending on the vehicle, this information is also given on marking B.
GTW (Gross train weight: vehicle fully loaded, with trailer). 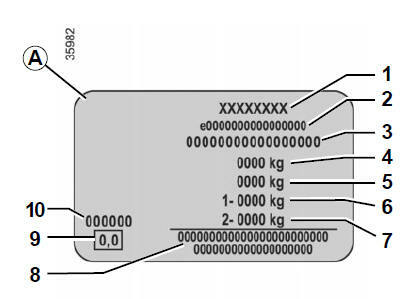 MPAW (Maximim Permissible Weight) for front axle. Reserved for related or additional entries.